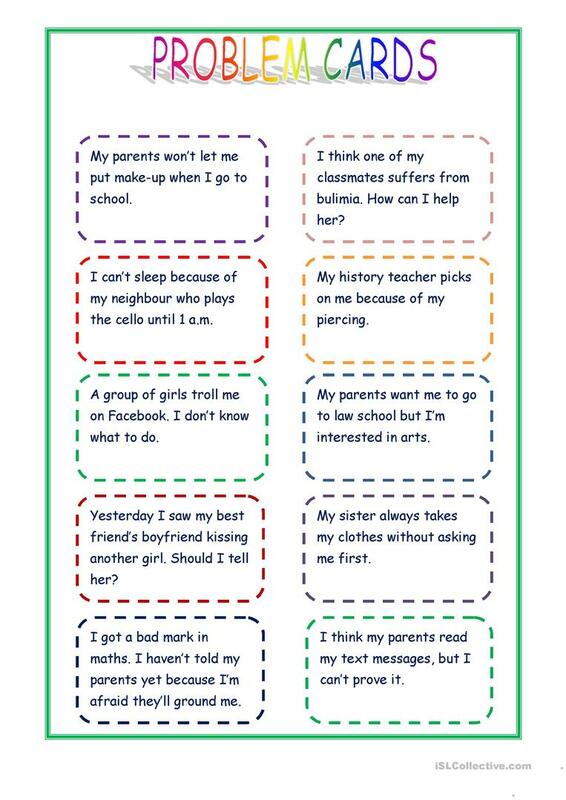 A set of problem cards for students to practise giving advice. I made them for practising second conditional - "If I were you, I would...". Suitable for teenagers. The present printable, downloadable handout is meant for high school students at Pre-intermediate (A2) level. It is aimed at revising Conditionals in English, and is a valuable material for enhancing your pupils' Listening and Speaking skills. It is focused on the theme of Language functions.